The Starwood Preferred Guest American Express Luxury Card: Is It A Must Have? An excellent card for those who often visit Starwood and Marriott hotels. Note: As of February 13, 2019, the Starwood Preferred Guest® American Express Luxury Card is now the Marriott Bonvoy Brilliant™ American Express® Card. The Starwood Preferred Guest® American Express Luxury Card is no longer accepting applications. The Starwood Preferred Guest® American Express Luxury Card will be worth more than its $450 annual fee for those who can use its $300 hotel credit (good for Starwood or Marriott purchases) as well as the free annual hotel night, which can be redeemed for a stay worth up to $500. However, if you're after a card that will give you ultimate flexibility, then we recommend a card in the Chase Ultimate Rewards program, like the Chase Sapphire Reserve®. How Does the Starwood Preferred Guest® American Express Luxury Card Compare to Other Credit Cards? The Starwood Preferred Guest® American Express Luxury Card's most attractive feature is its high rewards earnings on all purchases, which is fairly uncommon among co-branded credit cards. The Starwood Preferred Guest® American Express Luxury Card allows you to earn 6 points on Starwood and Marriott direct purchases, a 3 points per dollar at U.S. restaurants and flights booked directly with airlines, and 2 points per dollar for all other purchases. The points are best used on Marriott and SPG bookings. However, you can also transfer them to a variety of airline programs. Combined, these features give this card utility both as a specialty-use card for Starwood and Marriott purchases and as an everyday-use card. The Starwood Preferred Guest® American Express Luxury Card is also great for those looking for general travel benefits. The $300 Starwood and Marriott hotel credit, airport lounge access, and Global Entry or TSA Pre✓® statement credit are on par with what's offered by some of the best premium travel cards like the Chase Sapphire Reserve®. Additionally, the perks that come with automatic Gold Elite status—which include late checkout and enhanced room upgrades (based on availability)—can be valuable to those who often stay at Starwood and Marriott hotels. The old Starwood cards were renowned for their versatility, and while the new ones are just as versatile, they make you spend more to get there. For every $1 charged to the old SPG cards, on general purchases, you'd earn 1 Starpoint or 1 mile with any of the 30 participating airline programs. With the Starwood Preferred Guest® American Express Luxury Card, you have to spend a little bit more than a $1 per mile. Bottom Line: The Starwood Preferred Guest® American Express Luxury Card is a great hotel card that will be worth its $450 annual fee for frequent Starwood and Marriott guests. However, it's worth checking out a few other options before you apply. With the Starwood Preferred Guest® American Express Luxury Card, cardholders can earn 6 points per dollar spent at Starwood and Marriott, 3 points per dollar spent at U.S. restaurants and flights (when booked directly through the airline), and 2 points per dollar spent on all other purchases. If you spend $5000 in purchases in the first three months after account opening, you'll be rewarded with a 100,000 point welcome bonus. This card will launch under a revamped loyalty program with combined points with Marriott, Ritz-Carlton and Starwood hotels. This means that the points the earned with the Starwood Preferred Guest® American Express Luxury Card will not be the Starpoints we have previously valued at 2.4 cents each. Currently, we estimate that a single point under the new program will be worth 1 cent each, but this may change as we get closer to August. The points earned with the Starwood Preferred Guest® American Express Luxury Card can be redeemed for hotel nights at Marriott, Ritz-Carlton and Starwood hotels. They can also be transferred to a number of airline loyalty programs at a rate of 3:1. And for every 60,000 points that are transferred to miles, cardholders will receive an additional 15,000 bonus points, resulting in a total of 25,000 miles (60,000 points + 15,000 bonus points = 75,000 points * ⅓ transfer ratio = 25,000 miles). To help make up for the Starwood Preferred Guest® American Express Luxury Card's $450 annual fee, it also comes with a $300 credit for purchases made directly with Starwood or Marriott. Cardholders receive this benefit every year on the anniversary of their account opening. This is similar to what other premium hotel and travel cards—such as The Platinum Card® from American Express and the Citi Prestige® Card—offer. One of the most sought-after rewards for hotel credit cards is free hotel nights—which the Starwood Preferred Guest® American Express Luxury Card features. Cardholders can earn an annual free night each year when they renew their accounts. However, these free night awards are restricted to Starwood and Marriott stays with redemption rates of 50,000 points or less. Global Entry or TSA Pre✓®. Like many premium travel and hotel cards, the Starwood Preferred Guest® American Express Luxury Card gives users a statement credit to cover the application cost for Global Entry or TSA Pre✓®. These programs give travelers the convenience of shorter security lines and expedited clearance when traveling into the U.S. (in the case of Global Entry). The Global Entry program includes access to TSA Precheck and has a higher application cost of $100—compared to $85 for TSA Pre✓®. For this reason, we recommend cardholders apply for Global Entry over TSA Pre✓®. Cardholders can receive this benefit every four years. Priority Pass™ Select. Travelers with the Starwood Preferred Guest® American Express Luxury Card can also receive free enrollment in Priority Pass™ Select, which gives you access to more than 1,000 airport lounges. When you're enrolled in this program you and two guests (when permitted) may enter these lounges for free, but any additional guests you bring must pay $27 per visit. This benefit is fairly common among elite travel and hotel cards. Gold Elite Status. The Starwood Preferred Guest® American Express Luxury Card also grants cardholders a number of Starwood- and Marriott-specific rewards that can be very valuable for frequent guests. One of these benefits is automatic Gold Elite status, which would normally require you to stay 25 nights at Starwood hotels within a calendar year. This grants travelers a 25% point bonus (for points earned through the loyalty program, not with their Starwood Preferred Guest® American Express Luxury Card), late checkout and enhanced room upgrades (based on availability), as well as other benefits. 15 Elite Qualifying Nights. Starting in 2019, Starwood Preferred Guest® American Express Luxury Card cardholders can receive 15 nights toward the next tier of status in the Marriott Rewards program every calendar year their account is open. This puts users well on their way to achieving Platinum Elite status, which requires users to stay 50 nights per year. Comparing offers is an important part of shopping for credit cards because it gives you a better sense of the card's strengths and weaknesses. Below we have compared the Starwood Preferred Guest® American Express Luxury Card to some of the top travel and hotel cards currently available. The Chase Sapphire Reserve® is a fantastic general travel card and will be better than the Starwood Preferred Guest® American Express Luxury Card for those looking to earn a lot of rewards for a greater variety of travel purchases. For example the Chase Sapphire Reserve® lets users earn 3 points per $1 spent on all travel purchases (3 points on travel after you earn the $300 travel credit)—meaning car rentals, taxis and Airbnb purchases have a 4.5% rewards rate. This is much better, in terms of value, than you would earn with the Starwood Preferred Guest® American Express Luxury Card on those same purchases. Also, you can transfer the points you earn through the Chase Sapphire Reserve® to a number of airline and hotel programs, adding to its versatility. Receive 3 points per dollar spent on travel and dining and 1 point per dollar spent on all other purchases (3 points on travel after you earn the $300 travel credit). Earn 50,000 bonus points after spending $4,000 on purchases in the first 3 months from account opening. Get a $300 annual travel credit. If you're looking for a card that will give you lots of premium travel benefits, then it's hard to do better than The Platinum Card® from American Express. While a lot of the value of the Starwood Preferred Guest® American Express Luxury Card lies in its ability to earn points, The Platinum Card® from American Express focuses on giving cardholders a number of luxury and cost-saving travel perks. If you are a frequent traveler and can take advantage of the $200 annual Uber credit, the $200 annual airline fee credit and Hilton HHonors™ Gold Status, then The Platinum Card® from American Express is better for you. However, if you won't use these benefits or are more interested in earning free hotel nights, then you should go with the Starwood Preferred Guest® American Express Luxury Card. Access Centurion, Delta Sky Club® and Priority Pass™ Select lounges. Get a $200 annual Uber credit. Get a $200 annual airline fee credit. While the difference in annual fee may seem striking—$450 compared to $95 (waived for the first year)(See Rates & Fees) for the Starwood Preferred Guest® Credit Card from American Express—Starwood Preferred Guest® American Express Luxury Card cardholders who use the $300 travel credit will actually be looking at a much smaller difference. The main differentiating factor between the two cards is the bonus points you earn on U.S. restaurant spending and flights booked directly with airlines with the Starwood Preferred Guest® American Express Luxury Card. If you consider yourself to be a heavy spender when it comes to travel or dining, you should opt for the Starwood Preferred Guest® American Express Luxury Card. If you won't be able to use the hotel statement credit, then you should go with the Starwood Preferred Guest® Credit Card from American Express. Earn 6 points on eligible purchases at participating SPG and Marriott Rewards hotels. Earn 2 points on all other eligible purchases. Pay a $95 annual fee that is waived for the first year. 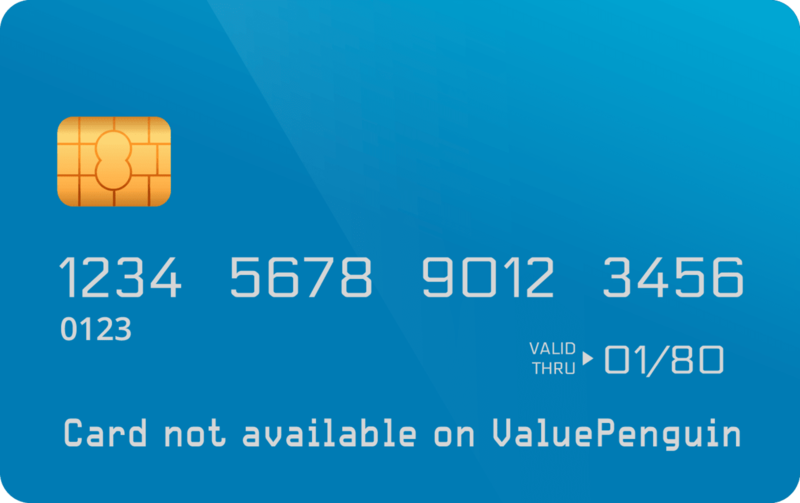 The information related to the Starwood Preferred Guest® Credit Card from American Express has been collected by ValuePenguin and has not been reviewed or provided by the issuer of this card prior to publication. This offer and/or promotion may have since changed, expired, or is no longer available.